Now you can monitor your environmental testing away from the chamber. AES|XCHANGE Dashboard enables you to view and operate your chamber on a full-screen monitor at your desk or remotely on a laptop or tablet. 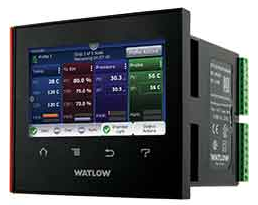 View real-time readings and control your chamber's temperature and humidity. 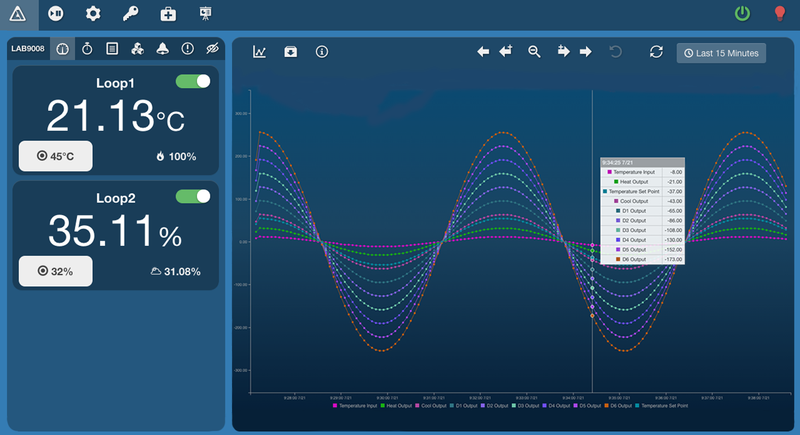 A full-screen-mode graph allows you to view and monitor live and historical data with a pause-and-resume feature while the chamber is running a test profile. From a web browser, you have the ability to move between profiles, create new profiles, edit and save them. The Profile Builder uses an easy drag-and-drop interface that makes choosing steps and rearranging test profile steps a breeze. Say goodbye to spending hours standing at a small screen in front of the chamber building test profiles or using an overcomplicated interface. Using a shared chamber is not a problem if you are using ASE|XCHANGE Security features which decrease test interference with three authentication methods and six permission levels controlled only by the administrator. Dimensions: Embedded software allows you to work on a full screen at your desktop or remotely on a laptop or tablet. Ask for the optional touchscreen monitor to mount on the chamber for full-screen access or plug your laptop in when you're working at the chamber. The F4T has 4 channel control as well as easy-to-set-up custom profiles. This enables you to easily adjust profiles in the controller without having to worry about deleting or messing up pre-existing profiles. The F4T has Modbus over TCP, RS-232, and RS-485 communication capability. The ability to connect to optional data logging is available via after-market auxiliary computer-based software. A push button controller with segmented displays. Has optional RS-232 or RS-485 serial communication. 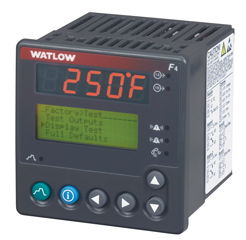 This controller is standard on LH, BD, and MX Series environmental test chambers. 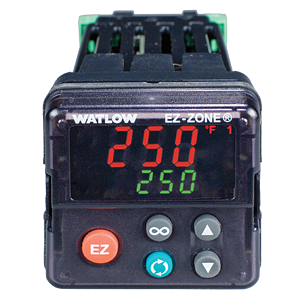 Optional Feature: This controller is no longer a standard product on AES environmental test chambers. The Retro F4 can also be used with after-market auxiliary computer-based software. The F4 comes with standard RS-232 or RS-485 and has optional adapter board for Modbus or TCP Ethernet, IEEE-488, or GPIB.